From now until July 18, the Kobo Mini e-reader is on sale for just $39.99 here. That’s not much more than a hardcover book! 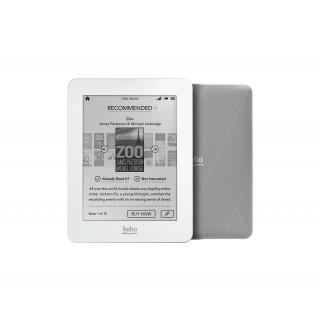 The Kobo Mini comes with a 5″ e-Ink touchscreen display, Wi-Fi, 2GB of memory, and 1 month of battery life. The 5″ screen is smaller than the 6″ e-Ink screens on the Kindles and Nooks, but that makes for a very small and light e-reader, weighing in at just 4.73 ounces (much lighter than a hardcover, or even most paperbacks).